JOBS! No … not merely jobs … DECENT JOBS. This is the topic on everyone’s lips as we rush headlong into 2011. Last Monday (31st January) South Africa’s Communication Workers’ Union (CWU) entered the fray and gave the jobs debate an ICT angle. Speaking at the CWU’s national congress the union’s deputy president, Karthi Pillay, suggested that “advancement of technology in the ICT sector has cost thousands of jobs over the past few years.” He cited Telkom as an example where new telecomms technology was partly to blame for a reduction in the workforce from 69,000 to 23,000. I believe that in the 21st Century the ICT sector provides the finest examples of “Decent Work”. I also believe that ICT has the potential to create large numbers of “Decent Jobs” – notwithstanding the CWU’s fear that advances in technology leads to the loss of jobs. I’m particularly passionate about one important sub-sector of ICT, namely software development. Creating thousands of software development jobs in South Africa and other parts of Africa over the next few years would certainly make a meaningful contribution to the ILO’s Decent Work Agenda. It would also represent a significant element of President Zuma’s job creation promise. 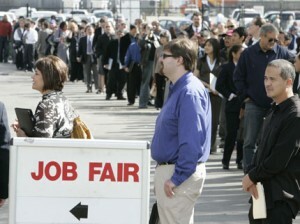 As I settle down to work in 2011 the issue of job creation is on top of my “to-do” list. Late last year I developed an – admittedly ambitious – strategy to create 1,000 new software development jobs over the next three years. I’m now getting ready to implement it. Watch this blog for updates as the plans unfold and contribute by submitting your comments. As I already said in another comment (to another entry in this blog-site), I see even more employment potential in software maintainance and re-engineering than in software construction from scratch. The amount of existing legacy software is enormous, and there is much work to be done in this field, but many in the SE world are turning a blind eye on this problem. Also in universities and technical collegues, the students are learning much more about software construction from scratch than about software maintainance and re-engineering. See, you can quite easily buy yourself some new socks, a new shirt and a new pair of shoes several times per year, but you cannot normally buy yourself a new house or a new car several time per year. When your socks are worn out you simply throw them into the bin, but with your house it’s not so easy; you’d rather call the plumber when the loo is leaking. Obviously, your “socks” in this metaphor are comparatively small software products, such as computer games for entertainment, whereas your “house” would be a massive corporate business support software system such as “SAP” or whatever, which is so expensive to buy that it cannot be easily thrown away like pair of old socks. Thus my question to Barry and the JCSE: Have you got any good plans in your briefcase about healthily re-balancing the focus of software engineering towards software maintainance and re-engineering, away from the one-sided concentration on new software creation?